Why Invest With Great Harvest? 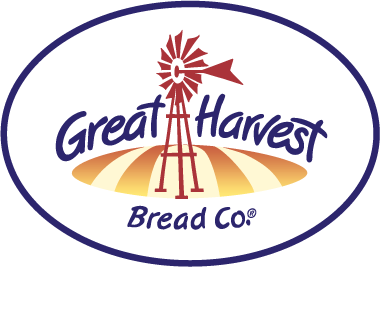 Great Harvest has been franchising since 1978. In that time, we have evolved from a bread store to a bakery to a bakery cafe that serves delicious sandwiches, salads, breads, grain bowls, soups, and goodies throughout the day. With over 210 locations across the United States (and growing), we have solidified our status as a beloved and authentic brand while refining our processes and franchise concept. Until recently, we limited franchise agreements to domestic owner-operators, typically starting with single stores. Having re-launched our brand as a bakery cafe, we now welcome multi-unit owners and international franchise partners. Our products will help you win customers over other fast casual competitors because fresh tastes best. Many stores claim to offer fresh baked bread when, in fact, it is only "recently baked" from mass-produced, frozen dough. Our bread is made from scratch, by hand, every day. We grind fresh flour from the best tasting wheat on the planet, daily. We are fanatical about the quality of our wheat, subjecting it to several layers of testing, and buying from growers we know on family wheat farms here in Montana. Our breads are rich, dense, and genuinely fresh, while others' are full of air and made from over-processed, stale flour. The freshness and flavor of our products are unmatched by any national brand. We go the extra distance to make things the right way, and it’s one of the reasons why our products taste so phenomenal and set us apart. Our food just tastes better. Go where your competitors can't with our unique Hub & Spoke model and flexible fee structure. Our new, cost-effective Hub & Spoke model makes multi-unit ownership very attractive. For each Hub & Spoke group, two of your three stores require less equipment and less square footage, lowering your cost per store and expanding your location options. You can put your Spoke stores in spaces too small to meet Panera's requirements, allowing you to serve customers out of reach to them in high-traffic areas where space is hard to come by. On the other hand, our flexible franchise fee structure also makes it easier to open your Great Harvest in smaller towns because our fee varies by territory size. Flexibility to make changes for maximum profitability in your market. Our franchisees love the flexibility of our Freedom Franchise. We offer proven, turnkey systems and processes, but leave you room to make the adjustments you need. You pick your menu, you decide your hours of business, you make decisions about your store's design and decor. You shape your stores into your own versions of Great Harvest.